With school out for the summer and the Texas heat already upon us, making trips to lakes, rivers or the community pool are commonplace for many families. While water activities may be enjoyable and provide much needed cooling, we must not forget that water safety is incredibly important. In the United States, drowning continues to be a significant cause of morbidity and mortality and is the number 1 and 2 causes of unintentional deaths in children 1-4 years of age and 5-14 years of age, respectively1. We have all heard stories on the news or on social media regarding “dry drowning.” Often the report entails a school aged child who was swimming, was spotted emerging from the water coughing but had spontaneous recovery after a couple of minutes, was otherwise acting and behaving normally without any symptoms, then unexpectedly led to the child’s death hours to days following this event. This is often a chilling and frightening scenario for any parent. But the question remains, do children who choke on water, recover quickly and seem fine actually suddenly die hours to days later? The answer is no. In fact, words such as “dry drowning,” “near drowning,” “secondary drowning,” and “delayed drowning” are not recognized medical terms2,3. Unfortunately, this terminology has led to mass panic as a result of incorrect medical information circulated through social media. The World Congress on Drowning in 2002 adopted a standard definition of drowning as “a process resulting in primary respiratory impairment from submersion/immersion in a liquid medium.” Drowning is now classified as either fatal or non-fatal drowning with or without comorbidity (i.e. long-standing medical effects)2. A recent study published in early 2018 from the Children’s Hospital of Los Angeles, one of the country’s largest pediatric hospitals, sought to answer two very important questions: 1) to determine if stable and well appearing children develop complications following a drowning event and 2) to identify symptoms in children following a drowning event that would be predictive of respiratory complications to follow4. The authors noted that children with low blood oxygen levels, fast or heavy breathing, or altered mental state were more likely to develop complications within 1hr of the drowning event. 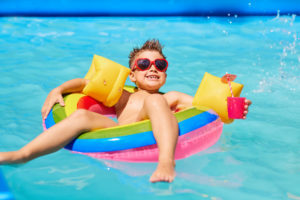 Children with normal vital signs and no abnormalities noted on physical examination were significantly less likely to develop respiratory compromise and if present, typically developed within 1-4 hrs of the drowning event. No pediatric deaths were noted in children who had normal vital signs and no respiratory symptoms. No children in the study were noted to develop complications past 8 hrs of observation. The above study is the largest pediatric study to date that has focused on this issue and further reinforces that following a water choking event, children who recover within minutes, have no respiratory symptoms (cough, shortness of breath, chest pain, fast/heavy breathing), and are awake, alert, happy and playful (no changes in mental status) are unlikely to progress and develop complications or lead to death. If a child does not spontaneously recover from a water choking event and has persistent respiratory symptoms or is unresponsive, this becomes a medical emergency and needs to be evaluated in the emergency room immediately. Drowning is highly preventable and while there is nothing wrong with enjoying water activities this summer with your children, good practice of water safety measures and a healthy dose of respect for Mother Nature goes a long way. Was this article helpful? Do you have questions for Dr. Flores about pediatric drowning? Leave your comments below or reach out to us on Facebook, Instagram or Twitter. Stay tuned for more medical messages coming soon! Dr. Adolfo Flores, Urgent Care for Kids Dallas-Fort Worth medical director, is a licensed and accredited pediatrician in the DFW metroplex. 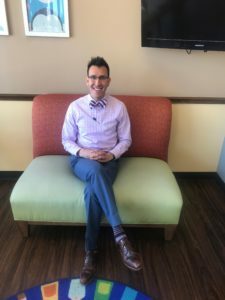 His years of experience and big heart for little patients makes kiddos and their families feel right at home when they require urgent care. When asked what he likes most about UCK, he says the staff. Come experience the friendly and at-ease environment at any location for yourself! Love this! So important for any parent to know. Thanks UCK!